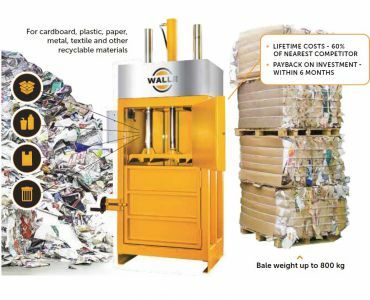 Powerful and effective balers for reasonable price..
3 size ranges: Mini, Standard, Big. Press force: 2 - 70 tons. Bale weight: 25 - 680 kg. Compact design with cross cylinders, ideal where height is limited (overall height <2m). Press force: 15 and 30 tons. 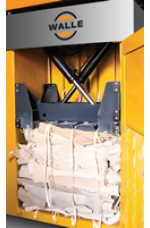 Bale weight: up to 400 kg. 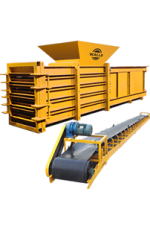 For compacting large volumes of waste, can be loaded continuously, extra wide filling opening. Press force: 30 and 50 tons. 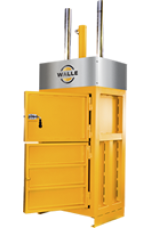 Bale weight: up to 800 kg. 16.09.16 Lucky customer in Ireland! 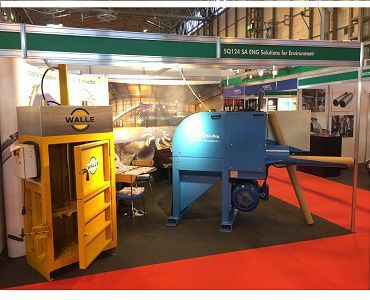 VM-10 baler sold directly from RWM stand. 16.09.16 New customer in Bulgaria. New customer in Bulgaria.